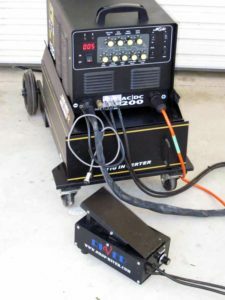 In about 2009 I purchased a Uni-mig Jasic 200A TIG welder (though these are sold under many brands). 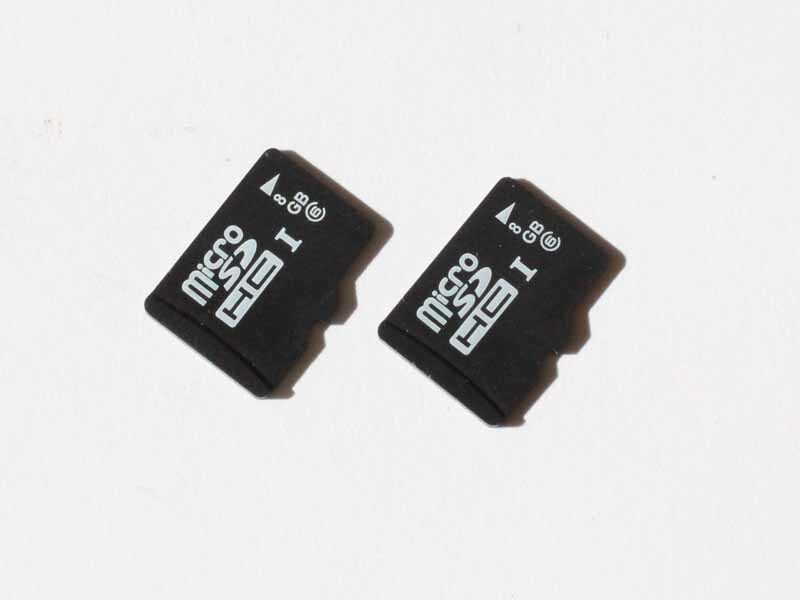 There is no standardisation of these connectors, but the pedal internals are pretty common. A quite common configuration is a 2 pin Foster (microphone) connector for the trigger switch and 3 pin Foster (microphone) connector for the current pot. I have a problem with machine tools getting condensation on them when conditions in the shed read dew point. A possible solution being explored is to circulate air with a fan, possible inducting outside air, when humidity approaches condensing conditions. 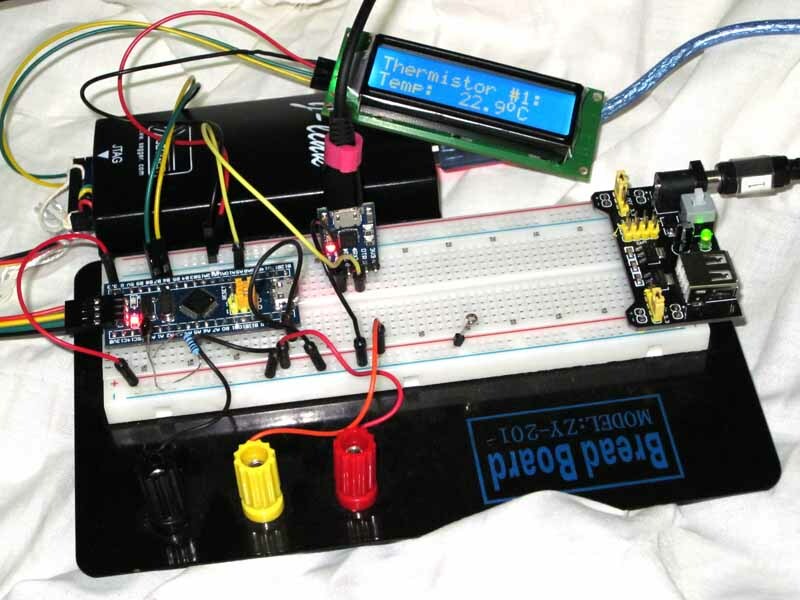 A quick search reveals the HDS10 resistive humidity sensor for a dollar or so on eBay. Above is the HDS10 humidity sensor. Most low cost humidity sensors use a humidity dependent capacitive element, the HDS10 is different in being a humidity dependent capacitive element and is therefore simpler to use with microcontrollers with ADC input. The above graph is from the datasheet. It is intended primarily for sensing high humidity (dew point, condensing conditions) which suits this application. 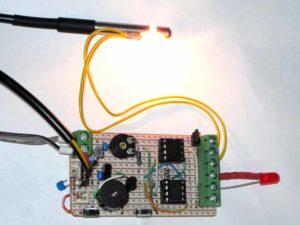 This article documents a LEA-6T module build for general experiments. 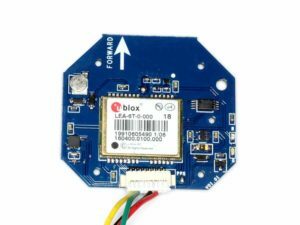 The LEA-6T is an inexpensive GPS module (~$40 at time of purchase, but getting cheaper) that can supply raw pseudo range data. 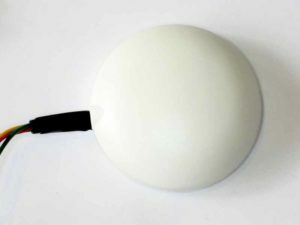 The module above is supplied for use on UAVs of various kinds, and came complete with a plastic radome and cables to suit an APM copter. The module also contains a 3D compass (magnetometer) which is not used here. 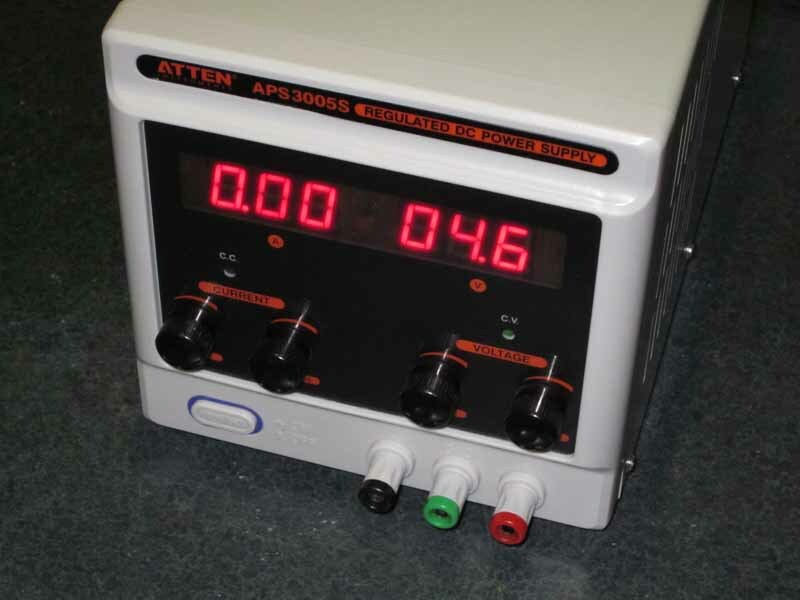 The Atten APS3005S is a 0-30V 5A linear DC power supply. This later model includes a thermostatically controlled fan which at moderately light currents short cycles (10s on 20s off) and is very annoying… especially since it sits above my desk. This project describes application of the generic heating / cooling controller (hcctl) to control the fan, reducing the short cycling nuisance.